This section features some of the many world wide compilation releases which feature a track by a-ha, Morten Harket or Magne F.
A 13 track compilation album was released in Canada on 27 January 2004 (TBC or 25 May 2004?). It features the Extended Version of "Take On Me" (track 1). The cover features a shot of some hands searching through a stack of discs. The title is printed in white, orange and light blue across the middle. There was a German 80s limited edition 2-CD Album Sampler "Die Zweite Ultimative 80er Fete" available from the German chemist store "Rossmann". It features the track "Take on me" by a-ha (Disc 1, track 15). The background of the cover (front and back) is a black and grey checked floor with large white and pink text. There are at least three different Japanese WEA compilation LPs which feature "Take On Me". They are all "WEA TOP HITS" albums, volumes 25, 26 and 28. Volume 28 includes the extended version of "Take On Me", the others feature the regular version. "Take On Me" appears on the CD celebrating 25 years of the Norwegian Spellemann awards. 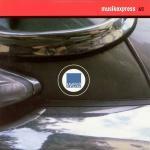 The album features tracks by artists who have won Spellemann awards between 1972 and 1995. The cover of this release is almost twice the size of a regular CD sleeve. It is red with a darker red 'shadow' of the familiar Spellemann award trophy. At the bottom, in dark 'shadowy' digits is the number "25". Above this is the title printed in white letters. The sleeve opens out in three parts. On the left hand side is the "Innhold" with a list of what the booklet contains. In the middle is a 34 page booklet with a page on each featured artist. The booklet also includes the nominations for the 1996 awards (Savoy are mentioned twice in this list). On the right hand side is the CD itself. The two CD set "Summer Klub80" by 4evermusic features the extended mixes of various tracks, including the extended version of "Take On Me" (disc 2, track 1). The cover features a picture of a water melon with a big piece cut out. The titls is printed in red and black letters above, with some of the featured artists listed in white over the melon. The discs are silver with red, black and white titles. This promotional Countdown America Radio Show 4-LP set features "Take On Me" by a-ha (segment 5 / Disc 4B). It comes with a cue sheet with programme times and details of the tracks / adverts to be played. Countdown America with John Leader - Hour 4, Earliest air date: 10/05/1985. a-ha are at Number 2 in the countdown, at running time 42:37, after Madonna's "Dress You Up". Number 1 in the countdown is "Money For Nothing" by Dire Straits. The discs come in plain white sleeve with white labels. Countdown America is printed in red letters at the top of the label and "with John Leader" in black letters underneath. Additional text releating to the radio broadcast is printed in black at the bottom of the label. The "Promo 12" Mix" (5:08) of "Take On Me" is included on the Italian 12 track compilation "DJ Selection 88: Absolutely 80's Vol.4" (track 7). The album was released on 14 April 2006. The cover features a picture of a vinyl record with the titles printed in yellow and white letters across the sleeve. The DJ selection text is made to look like the stylus going across the record. 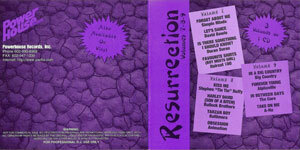 There is a USA DJ Promo 12 track compilation CD "Resurrection Volumes 7-8-9", made by Powerhouse Records Inc. It features remixed 80's tracks by various artists. Track 12 is a 6:32 remix of a-ha's "Take On Me" which is a remix of the 7" and 12" versions by Aaron Scofield. The cover is purple with a 'cracked ground' pattern as background image. There are 3 light purple boxes on which some the featured tracks are listed plus a purple jagged circle with "3 Volumes on 1 CD". The reverse of the insert features the same background image plus contact details of Powerhouse Records, Inc., copyright information plus a jagged circle with "Also Available On Vinyl" printed on it. The disc and back sleeve feature the same background image. The title and tracks are printed in silver on the disc. The back cover has titles and more detailed track information printed in black. There is no catalogue number. There is also a 12" vinyl release of this DJ promo which is split onto three separate records, four tracks on each. a-ha's track is on volume 9. The cover image is similar to that used on the CD version. The title is printed in large black letters down the left hand side on a purple strip. Track information is printed in black on a white background in the top right hand corner. The back sleeve is similar to the front, but with the Powerhouse Records, Inc contact details and copyright information. The disc labels also feature the purple cracked ground and have the titles printed in white. 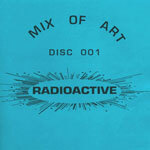 The 1990, 9 track promo CD compilation "Radioactive" by "Mix of Arrt&quo9t; features the "Confront EFX Edit" (9:23) of "Take On Me" (track 7). It comes with bright blue paper CD inserts with all text printed in black including titles and track information. The disc is also bright blue The cover is blue with silver text plus 4 silver triangles. Tracks: Big Audio Dynamite -	Contact (Edit Clash Smart) / Janet Jackson - Miss You Much (Miss Principle Mix) / Tina Turner - Steamy Windows (The Sedan Mix) / Depeche Mode - Nothing (Dallas Beat Mix) / Grace Jones - Love On Top Of Love (Killer Kiss Mix) / Real Life - Catch 90 (Vice Copter Mix) / a-ha - Take On Me (Confront EFX Edit) / U2 - God Part II (EFX Weapon Mix) / Special Effect #1 "The Copter"
Italy DJ Selection 88: Absolutely 80's Vol.4 (feat. Take On Me promo 12" mix) 801999102855? The UK double DJ only monthly compilation album "Commercial Collection DMC 253" contains 20 exclusive megamixes, remixes and two trackers of songs by various artists. 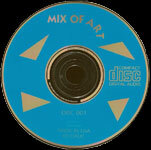 Track 4-9 on disc 2 form an 80's Remixed Megamix (Part Two) (25 mins) which includes "A-Ha Sun Always Shines On T.V." (5:09) as the third part. The parts are remixed by Steve Franklin and although each part is a separate track on the disc, they run into each other. The cover is bright pink with large black and pink text. Disc 1 (9 tracks) is white with pink text and disc 2 (11 tracks) is pink with white text. The back sleeve is white with a pink border and tracks listed in black in the middle. 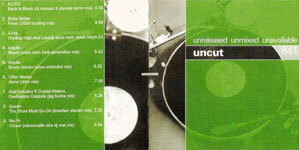 There is a 10 track DJ remix CD "Uncut Volume 2859 - Unreleased Unmixed Unavailable". It comes in a jewel case with insert which features a black and white shot of a turntable with part of the picture overlaid with semi-transparent green rectangles. The title is printed towards the top in white. The back of the insert is similar but with a closer shot of the turntable and the tracks listed down the side in white. The disc is white with the title in black. It is thought that this is an unofficial release. The album features the "Lyndon Fielden Mix" (9:35) of "The Sun Always Shines On TV" (track 1); the "Agressiva Mix" (6:27) of "Hunting High And Low"; the "Brazilian Mix" (5:42) of "Dream Myself Alive" (track 3) and the "Atlantic Angels Mix" (5:33) of "We're Looking For The Whales" (track 4). "Hunting High And Low" is track 18 of the Japanese compilation CD " Love In Roses" (on sale 20th November 2002). The CD features 18 love songs from the Japanese TV drama. The promo acetate comes is a white printed sleeve with track list and titles in Japanese text. There is a 9 track DJ remix CD "Uncut Volume 641 - Unreleased Unmixed Unavailable". It comes in a jewel case with insert which features a black and white shot of a turntable with part of the picture overlaid with semi-transparent green rectangles. The title is printed towards the top in white. The back of the insert is similar but with a closer shot of the turntable and the tracks listed down the side in white. The disc is silver with the title in black. It is thought that this is an unofficial release. The album features the "DJ Deco Melo Mash Mix" (4:53) of a-ha's "Hunting High And Low" (track 3). Italy: There is a "Freeway '87" cassette which includes the album version of "I've Been Losing You". 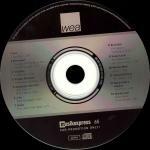 This WEA-release features 14-tracks from 1986 including a-ha and other artists like Madonna, Nick Kamen and Howard Jones. The cover is black with a picture of woman (from waist down) standing in front of a car with her hands tied behind her back. The title is printed in red letters at the top of the sleeve and the artists are listed in white at the bottom. The track information is printed on the inside of the sleeve. A 12 track compilation limited edition album "retro:active 5 Rare & Remixed" was released in Canada in 2006 and features the "Extended Mix" (7:03) of "I've Been Losing You" (track 1). The cover features a green-tone close up shot of a treble tuning knob. The title is printed in white, yellow, orange and red across the middle. The back sleeve is red with titles in yellow and white. The disc is greenish yellow with the titles in white, yellow and silver. The extended remix of "Manhattan Skyline" (6:48 - disc 1, track 2) can be found on the 2 disc Polish compilation album of twelve inch remixes "Pop & Rock Klub80". The cover is black with titles in white and red plus a picture of a cassette deck underneath. 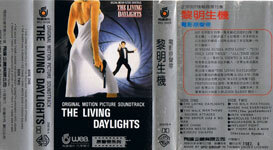 German 12 track LP "The Living Daylights Original Motion Picture Soundtrack" (1987) which has The Living Daylights (4:14) as track 1 on side 1. Side 2 features an instrumental version of the title track called "Hercules Takes Off" (track 3). The cover features features a drawing of a blond woman in a white dress holding a gun plus a tuxedo-dressed Timothy Dalton aiming his gun at her. Above Timothy is the title in white letters. Under the title is a blue sticker with white text "Bundesweiter Kinostart 13.08.87: James Bond 007 DER HAUCH DES TODES Mit der Titelmelodie The Living Daylights von A-ha 925 616-1". The reverse of the sleeve features a close up shot of Timothy / Bond holding a gun up. Small pictures taken from the film are in the bottom left hand corner and the titles are printed in white down the right hand side. 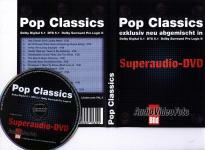 The Living Daylights can be found on the German sampler-Superaudio-DVD (audio only) "Pop Classics". The tracks have been exclusively newly mixed in DOLBY DIGITAL 5.1 DTS 5.1 and DOLBY SURROUND PRO LOGIC II. 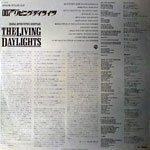 Track 3 is The Living Daylights (written incorrectly on the back sleeve as "The Living Daylight") and is the version found on the "Stay On These Roads" album (4:46) rather than the James Bond version. Text about the tracks is printed inside the booklet and this time a-ha's track is spelt correctly. The DVD is distributed in Germany by the BILD-newspaper and is from 2003. Japanese promo LP (1987). Similar to the German release, the Japanese white label promo comes with a blue and white text obi-strip plus promo sticker on the reverse. It comes with one sided inner lyric sheet for the three songs: a-ha - The Living Daylights , The Pretenders - Where Has Every Body Gone and The Pretenders - If There Was A Man. A deluxe edition enhanced CD was released in the USA in 1998. This remastered edition includes 9 additional tracks and cd-rom part with film clips. It comes with a multi-foldout booklet and picture obi-strip. The front cover artwork is similar to the original release. The back cover features a picture of a car driving away from a burning house. Additional information is printed in black underneath. The disc is silver with a red middle and silver text. The cover of the Taiwan cassette is black with similar artwork to the German release plus the album title printed (a second time) underneath in white letters. The rest of the fold-out sleeve is grey with black, red and blue text. The cassette is black with a black label and white text. The cassette is made by UFO Group in Taiwan under license and also features the Warner Brothers logo. It comes with OBI-Strip and two-sided lyric sheet. "The Living Daylights" can also be found on the Swedish "low price" 15 track compilation album "Hits vi minns" ("Hits We Remember"). The album was released in 2004 by WSM Sweden on the label Musikservice and features the album version of "The Living Daylights" (4:46) (listed as "Living Daylights"). a-ha are listed as aha throughout. The front cover has a large green circle in the middle, with four shots of artists from the album pictured in the corners (a-ha are pictured top right). The title is printed in large red and blue letters across the middle with the artists listed in white underneath. The disc is silver with the title in red and blue letters at the top. 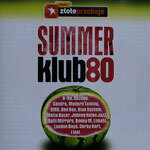 The extended version (6:50) of "The Living Daylights" is featured on the 2008 12 track Polish compilation album "Movie Klub 80 - Famous 80's Movie Themes Original Twelve Inch Remixes" (track 6). The cover features a picture of a film reel with a brownish background. The titles are in large black and red letters across the middle. The back cover is similar to the front and has the track list in red and black letters down the sleeve. The disc is plain with white and red titles. An 11 track compilation limited edition album "retro:active 7 Rare & Remixed" was released in Canada on 29 October 2010 and features the "Extended Remix" (6:11) of "Stay On These Roads" (track 4). The cover features a close up shot of mixing turntable. The title is printed in white and lime green across the middle. Details of some of the featured artists are listed in green and grey at the bottom of the sleeve. The back sleeve is lime green with tracks listed in grey and white. The disc is dark blue with the title in white and lime green at the top. There is an german compilation from 1995 titled "It's a Warnerful World". There are 15 tracks by different artists. Track 1 is a-ha's "Touchy". Other artists include Fleetwood Mac, Eric Clapton, The B 52s... The cover features a starlit night sky above a green earth. Names of the artists appearing on the album are printed on coloured shapes over the 'sky' with a large WB logo over the earth. There is a large yellow circle at the top of the sleeve with a white exclamation mark. The title is printed in yellow below. The 3 fold insert includes information on forthcoming albums by the artists. The disc is blue with silver title and yellow track list. This 11 track compilation "Old Wave 80's Remixes 12"" was released in 2001 and features the "12" Remix" of "You Are The One" (6:32). The cover is purple with "80's" printed in large black letters on the left of the sleeve with the rest of the title in blue, yellow and purple below. The featured artists are listed in yellow down the right hand side. The back sleeve is purple with the track listing in white and blue on the left hand side and the title printed in large letters (as on the front sleeve) on the right hand side. 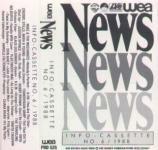 There is an german WEA Promo-Tape called "WEA-News - Info-Cassette No. 6/1988". This cassette features 16 tracks from various artists (e.g. Mike & the mechanics, Enya, R.E.M., Fleetwood Mac). Song No. 2 on Side A is "You are the one". The tape is transparent with white text printed. The track list is printed inside. In 2008, there was a 10 track compilation album released in the Philippines by Maze Music Ltd called "Disc Is Eighties Rare Remixes From The Past 1". The album features extended versions of tracks by different artists. Track 1 is the 12" Remix of "You Are The One" (6:30). The CD comes with a 4 page booklet. The cover is orange / red tone with pictures of record sleeve. The title is printed in white in the top right hand corner with a large white "1" down the right hand side. The disc is red with the titles printed in white. Inside there are pictures of the sleeves of the various tracks from the album. The DJ only 20 track double compilation album "Mastermix Issue 228 July 2005" contains mixes and remixes by different artists. Disc 1 contains 8 tracks and disc 2 has 12 tracks. Track 11 of disc 2 is "80's Heroes: a-ha" which is a medley by John Faulkner of 5 a-ha songs: "The Sun Always Shines On T.V. ", "Cry Wolf", "Train Of Thought", "Take On Me" and "You Are The One (Remix)" (10:39). The CD comes with a 4 page booklet with track information. The discs are silver with a coloured centre. Disc 1 is blue and black while disc 2 is red and black. The cover features a blue and white drawing of a DJ mixing discs. The top of the sleeve is green and blue with the title in white. At the bottom of the sleeve "For DJ Use Only". Taiwan: This 14 track compilation promo album from Taiwan "The very best" features tracks by various artists including "Crying In The Rain" by a-ha (track 8). Other artists include Phil Collins, Rod Stewart, Foreigner, Eric Clapton and others. The cover is red and yellow with a large blue star in the centre. The title is written in yellow 3-D letters over the star. The reverse of the insert features album adverts for albums of the featured artists (Headlines & Deadlines is the pictured album for a-ha). The CD comes in a slim-line case. The CD is red with track list in white letters plus blue star and title above. 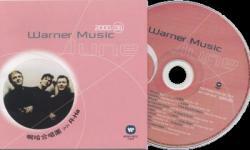 The WEA-logo, WARNER MUSIC TAIWAN", "PROMOTIONAL USE ONLY NOT FOR SALE and these words in chinese are printed on the left hand side of the disc. This release does not appear to have a catalogue number. This 36 track, 2 CD compilation of Norwegian artists from 1995 includes a-ha's "Crying In The Rain", Morten Harket's "A Kind Of Christmas Card" and Savoy's "Velvet". The cover is white and features a picture of a Norwegian cheese cutter. The title is printed in white and red across the middle with the artists listed in white underneath. There is a 8 track DJ remix CD "Uncut Volume 680 - Unreleased Unmixed Unavailable". It comes in a jewel case with insert which features a black and white shot of a turntable with part of the picture overlaid with semi-transparent green rectangles. The title is printed towards the top in white. The back of the insert is similar but with a closer shot of the turntable and the tracks listed down the side in white. The disc is white with the title in black. It is thought that this is an unofficial release. The album features the "ddm Mix" (3:57) of "Early Morning" (track 7). An edit version of "Move To Memphis" (4:11) [4:15 version but fades 4 seconds earlier] is included on the Warner Music United Kingdom New Releases promo CD 15 compilation. It includes 16 tracks by various artists, including a-ha (track 3). The cover is a blue and white Warner sleeve with the tracks listed in the centre. The disc is plain with the title in black at the top and the text "promo only not for resale" and "promo CD 15" in black on the right hand side and bottom of disc respectively. UK: The "Two-Time Gun Mix" (4:19) of "The Blood That Moves The Body" (track 1) is included on the 18 track "Warner Music United Kingdom New Releases promo CD 25" compilation CD. The cover is blue and white featuring the WB logo. The tracks are listed in the centre on a white background. At the bottom of the sleeve it states "NOT FOR SALE - PROMOTION ONLY". The disc is silver with black text. Japan: In Japan there was a "Not For Sale" sample 5" CD "Warner Music Japan July 1993" which features 16 tracks by various artists including a-ha's song "Dark Is The Night" (track 2). The cover has a picture of Morten from the "Dark Is The Night" video plus titles in white. The reverse cover is white with a track listings in English and Japanese. The front insert contains a piece about each track printed in Japanese while the reverse features another smaller picture of Morten from the "Dark Is The night" video on a white background. 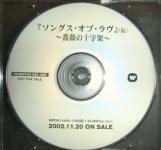 The disc is silver coloured with black text. The album version of "Dark Is The Night" is included on the Warner Music United Kingdom New Releases promo CD 48 compilation. It includes 15 tracks by various artists, including a-ha (track 5). The cover is a blue and white Warner sleeve with the tracks listed in the centre. The disc is plain with the title in black at the top and the text "promo only not for resale" and "promo CD 48" in black on the right hand side and bottom of disc respectively. The promotional 17 track "Warner Music United Kingdom New Releases - PROMO CD 54" CD includes Angel by a-ha (track 6). The cover is blue and white featuring the WB logo. The tracks are listed in the centre on a white background. At the bottom of the sleeve it states "NOT FOR SALE - PROMOTION ONLY". The disc is silver with black text. "Angel" is also featured on the 15 track "Warner Music United Kingdom New Releases - PROMO CD 55" collection. This time, Angel is track 4. The cover and disc are similar to that described above. "Angel In The Snow" is track 1 of the CD "MTV Top 20 Brasil" from 1995. This 20 track compilation album features most voted clips of the week and also includes "A Kind Of Christmas Card" by Morten Harket (track 11). The front cover is white with coloured patterns. The text "MTV Top 20 Brasil is printed in large black and white letters. The back sleeve is also white with the coloured patterns and titles. It also has the track listing printed down the left hand side. The disc is white with pink patterns and text. Another collectable is "The Warner Music Collector 1" promo CD pressed in Germany. It is a special limited edition 17-track CD with a-ha's "Angel In The Snow" (4:13) as track 16. The CD comes in a card-sleeve with The Warner Music Collector 1 printed on the cover. "Lie Down In Darkness" is included on the radio promo only Brazilian compilation album "Promo Invendavel". Other artists include Phil Collins, Madonna, Prince, Stone Temple Pilots, Paul Simon, Mick Jagger, Eric Clapton and Pantera. The cover is red with the track listing in yellow at the top and the titles in pink, white orange and yellow large letters at the bottom. The disc is red with titles in silver. US: The 1993 19-track promo only CD "Ribbed Ticklers" features a-ha's "How Sweet It Was" (track 2). Other artists include New Order, K.D. Lang and The Flaming Lips. The background of the cover features blue and white stripes with pink, yellow and green 'ribbons' of colour meeting at a point. The title "ribbed ticklers follow our trax vol.9 is printed in black across the middle. The promotional 18 track "Warner Music United Kingdom New Releases" CD includes Shapes That Go Together by a-ha (track 1). The cover is blue and white featuring the WB logo. The tracks are listed in the centre on a white background. At the bottom of the sleeve it states "NOT FOR SALE - PROMOTION ONLY". The disc is silver with black text. There is a Warner Music Taiwan promo CD sampler for June 2000 which features the radio version (?) of a-ha's "Summer Moved On" (4:06). The cover is light pink with white thin covered lines across the background. A picture of a-ha (Paul, Morten and Magne - from the Minor Earth promo photo shoot) is placed in a circle in the bottom left hand corner. The text 2000.06 Warner Music June is printed at the top of the sleeve. The disc is also pink with the thin white lines plus track information. Taiwan Promo Warner Music Warner Music Taiwan (feat. Summer Moved On (Radio Version)) ? a-ha's "Minor Earth Major Sky" was included on the soundtrack album "Ocean Men - extreme dive". The front cover is mainly blue/dark blue and features an underwater picture of a diver in silhouette blended with the faces of the two divers in the movie. The upper part of the cover is light blue as it shows the ocean surface seen from below. The title "Ocean Men" has been printed in large grey letters and is centered on the upper part of the cover with the additional title "extreme dive" printed in red letters right below. Just above the main title there is information about the featured artists printed in white letters: "music from and inspired by the movie Ocean Men featuring ENYA - MORCHEEBA - A-HA - VANGELIS - AND MANY MORE". The back cover also features an underwater picture from the movie. This time a picture of one of the featured divers svimming in lighter blue surroundings with the surface and bottom of the ocean being the lightest. 21 tracks are mentioned and printed in white on the blue screen shot. Track 11-21 are written or performed by Cliff Eidelman and Minor Earth, Major Sky is track 08. The track is 4:00 minutes long and appears to be the Niven's Radio Edit version. The booklet features shots from the movie as well as information about Cliff Eidelman and the two divers Pipin Ferreras and Umberto Pelizzari. The disc is plain blue with the title Ocean Men printed in grey and black. Niven's Radio Edit of Minor Earth Major Sky (4:02) was available on the August 2000 Warner Music promotional CD which includes 8 tracks by various artists. a-ha are on track 4. The CD doesn't have a front sleeve, but has a title insert on the reverse. The disc is silver with black text and the Warner Music Canada logo on a red background. a-ha's version of "Velvet" was included on the sountrack album of "One Night At McCool's" (April, 2001). The cover shows 3 of the characters from the film on a white background. The titles are in white and blue letters at the top on the sleeve. Australia Universal One Night At McCool's (feat. Velvet) ? This 2002 "Warner News" promotional compilation album features "Did Anyone Approach You?" by a-ha (track 2). The cover is blue with the Warner logo at the top and "Warner news" printed below in blue and yellow font. 3 additional logos (ew, wea and wsm) are printed at the bottom of the sleeve. The back sleeve is white with the track list in black. Europe? 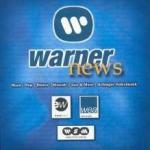 promo Warner Warner News (feat. Did Anyone Approcah You?) ? 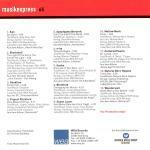 There was a 13 track WEA Promo Album Sampler CD which came with the June 2002 edition of the German Music Magazine "Musikexpress". The CD comes in cardboard sleeve and features the track "Time and again" by a-ha (track 6). The cover features a photo of part of a metallic object (a car??). There is a red strip along the top of the sleeve with the title printed in white and black. In the centre is the blue and shite wea logo. The reverse of the sleeve is white with a red strip along the top. Track list and track information are printed in black with the CD title in white and black at the top. The disc is silver and black with black and silver titles. This 20 track promo only Warner Music compilation album "Høsten 2004" (Autumn 2004) features a "medley" of a-ha songs (track 15 - 3:24) promoting the new singles collection. The cover is black with streaks of red and yellow light across the middle. The Warner logo and "Warner Music Norway" are printed in white in the centre of the sleeve with "HØSTEN 2004" in white in the top left hand corner. The disc is black with white text. The a-ha medley consists of the following song clips: Take on me / Forever not yours / Summer moved on / Manhattan skyline / The living daylights / I've been losing you / The sun always shines on TV / Hunting high and low. 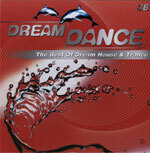 The "Paul van Dyk Remix" of "Celice" (4:10) [edit version of Paul van Dyk's Vocalilzed Clubmix] can be found on the 2 CD, 42 track album "Dream Dance 38" (disc 2, tack 2). The cover of the CD is red with a water splash and two dolphins. The title is printed in silver letters at the top. The tracks are listed on the back cover which is also red with titles in silver, black and white. The album was released in 2005. 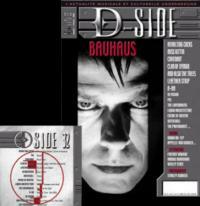 Issue 32 (January 2006) of the French magazine "D-Side" comes with a free 14-track CD which features various artists including a-ha with a live version of "Analogue". The magazine also features an interview with the band. New single from legendary Norwegian trio who, as The Sunday Times quite rightly declare, 'given the commercial sway of Coldplay and Keane, are as relevant as ever'. The band are on tour an arena tour in the UK in December and return for promotion for the single release 23rd January. The disc is quite plain with the Polydor logo and title printed at the top in black plus contact information at the bottom. There is also a 2006 Univeral Music promo sample CD from Mexico which features "Analogue". 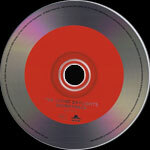 The disc is dark red with white logos from the six featured artists. The CD is housed in a custom card wallet picture sleeve. The front is white with black and white shots of the featured artists. The reverse is white with album cover pictures and track details. "A Kind Of Christmas Card" and "Angel In The Snow" are included on the compilation album "MTV Top 20 Brasil CD" from 1995 (details listed under "Angel" above). "A Kind Of Christmas Card" is also included on the Net Globe (Rede Globo) Brazilian soap opera 14 track compilation "Cara E Coroa / Internacional" (Face and Crown / International). The series was broadcast from 24 July 1995 - 30 March 2006 and each episode has two CDs, one with national songs and the other with international songs. Morten's song is track 14 on the international CD and his name is incorrectly printed as Morteen Harket! The cover features a shot of a girl wearing a red caardigan. The tracks are listed next to her on the left and the title is printed in yellow and blue letters. The back sleeve features the same girl sitting down with the tracks listed in black to the left of her. The disc is orangy yellow with blue text. "A Kind Of Christmas Card" and "Take On Me" are included on the CD celebrating 25 years of the Norwegian Spellemann awards (more details under "Take On Me" above). The song "Hymne til Josef" sung by Morten Harket is included on the 1998 14 track compilation album "Lys I Mørket" (Light In The Dark). It also includes the song "Mitt Hjerte Alltid Vanker" sung by Sondre Bratland. The album comes in a digi-pak and features a red, green and yellow painting of a woman holding a baby. The title is printed in white at the bottom of the sleeve. Morten Harket's "We'll Never Speak Again" (4:21) and Magne F's "Time & Place" (3:57) are included on the 21 track Universal Music AS promotional compilation album "Sommer 2008". "We'll Never Speak Again" is track 1 and "Time & Place" is track 17. The CD comes in a card wallet sleeve which is black with the Universal "world" logo in the middle of the front sleeve. "Universal Music AS" and "Sommer 2008" are printed in white letters at the top and bottom of the sleeve respectively. The tracks are listed in white on the reverse of the sleeve. "Promotion Only - Not For Sale" is printed in white down the right hand side of the back sleeve. The disc is black with the Universal logo and titles at the top. The artists featured on the CD are listed down the left and right sides of the disc. a-ha's cover version of the John Lennon song "#9 Dream" (4:07) is included on Amnesty International's compilation of the songs of John Lennon "Instant Karma - The Amnesty International Campaign to Save Darfur". The album was released internationally on 25 June 2007 and was available for download from 11 June. The 2-CD set was released under the title "Instant Karma - The Amnesty International Campaign to Save Darfur" in the UK, USA and Canada. Elsewhere, the album was released under the title "Make Some Noise- The Amnesty International Campaign to Save Darfur". Note: The USA version does not include a-ha's cover of "#9 Dream", The Cure's "Love", The Raveonettes "One Day At A Time", Eskimo Joe's "Mind Games", Duran Duran's "Instant Karma" or Tokio Hotel's "Instant Karma"but instead includes Lonely Boys' "Whatever Gets You Through The Night". The cover of both versions of this album is white with John Lennon's face and the title in red, yellow and green shades. The UK edition (other versions TBC) comes in a slimline card digi-pak. It comes with an 8 page booklet with a note from Yoko Ono, information about Darfur, Amnesty International and track information. The discs are silver with titles in red, green and black.